Rental - for budget rental properties, poly commercial carpet is often chosen for it’s Durability, it’s stain proof fiber and low cost. Poly carpets are available mainly in loop pile construction (definitions of pile construction are listed below), in both commercial patterned styles and the popular sisal look. A Poly carpet is solution dyed and almost impossible to stain. It aslo resists ware, is static free and when exchanging tenants, a professional carpet clean can rejuvenate a poly carpet so well, it can seems like new carpet for the next tenant. For higher end rental properties we also recommend Nylons and wools in loop Piles are preferred for added durability and life. A dark coloured loop pile wool in a heavy use commercial areas will most likely out last any other yarn in terms of appearance over time. For more information on commercial carpets you can discuss your needs in our store. Home - For your own home Carpet factory recommends nylon, or wool carpet, depending on your budget and lifestyle. If you have young children and expect your carpet to sustain heavy usage and possible spills in the short term, we would suggest a stain treated nylon carpet with a protection like Stainblock, Scotchguard or Stainmaster. 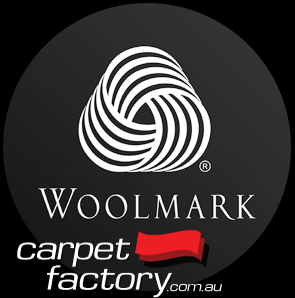 If you prefer something a little more luxurious Carpet Factory recommends a pure wool or high wool content blend carpet for it's crush resistance and luxurious look and feel. Wool carpets are superior in many ways to synthetic and blends. In the right application there is no substitute for wool. 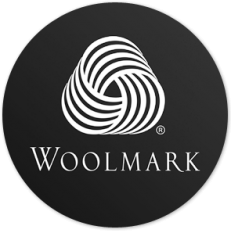 Plus Wool fibre is, in our opinion, really the most eco friendly renewable fiber for your floor. Many customers thought price of wool carpet was out of their price range! However after visiting Carpet Factory, they found the price to be well within their budget. Most have found Carpet Factory's wool carpets to be cheaper than the synthetics available at other stores. "I searched for a quote at all the other stores to find better price for the same wool carpet for three bedrooms. Carpet Factory was able to beat all other quotes by almost $1000.00! I was amazed at your price. Thankyou"
Commercial - Commercial applications require consideration and thought when choosing a carpet.For a budget option, Carpet Factory stocks many low cost commercial rated carpets. For applications with high usage, fire rating requirements, computer safe and design considerations, our friendly staff have the knowledge and expertise to provide the best solution for your needs.